This is an informative article from Elliot Hook, a wildlife and landscape photographer based in Hertfordshire, UK, on Digital Photo School on the use of ND filters in long exposure landscape photography. Long exposure photography has become very popular in the last couple of years, getting a lot of coverage in landscape photography magazines and on photo sharing websites. With the ever-increasing number of options for 10-stop neutral density (ND) filters on the market, there has never been a better time to give it a go. However, taking photographs when using such high-density filters gives rise to a set of problems that you may not have previously considered, so this article is intended to give a few useful tips that I have picked up since starting my journey learning about long exposure photography. 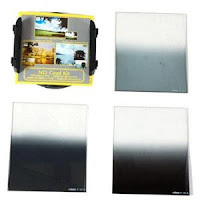 If you want to buy a set of HD Filters ,this set by Cokin is available from Jessops. Ideal for the enthusiast or professional photographer. The kit contains a P-Series Filter Holder, P121L NDx2 Filter, P121M NDx4 Filter, P121S NDx8 Filter and a Cokin 28-Page Filter Catalogue.